Dementia is an often-misunderstood disease that impacts every aspect of a senior’s life from health and memory to functioning and independence. The loss associated with this disease cannot be prevented, but it can be eased with the right support system in place. 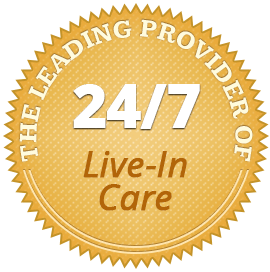 Home Care Assistance of Guelph, ON, is a leading provider of dementia care for seniors, providing the support they need to age in place both comfortably and safely. Our compassionate, professional caregivers provide dignified, thoughtful, and individualized care that fosters longevity, a healthier home environment, and the independence that all seniors cherish and deserve. Whether your loved one is in the initial or later stages of dementia, your family is likely faced with difficult decisions regarding care. Home Care Assistance works collaboratively with families like yours to ensure seniors with dementia receive the care, supervision, and companionship they need. Our flexible scheduling means we can provide assistance any time of day or night, a few hours a week, or even on a 24-hour schedule. 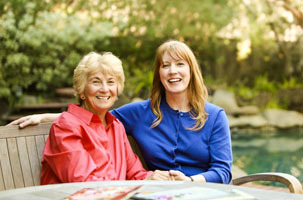 With our services in place, seniors maintain their normal routines and family caregivers are supported in their role. This causes less stress, confusion, and anxiety for seniors with dementia and helps them to always feel comfortable, calm, and secure. Guelph Home Care Assistance takes a well-rounded, balanced approach to meeting a senior’s care needs. Our Cognitive Therapeutics Program is revolutionary, patent-pending program designed by experts in the field of dementia care. Incorporated into your loved one’s individualized care plan, this activity based program offers socialization and sensory stimulation for your loved one to help slow cognitive decline. Each of our caregivers receives specialized training in this important method at Home Care Assistance University in an effort to provide the most effective and beneficial care available across our community. Your loved one is unique and not defined by dementia, and your family deserves the individualized attention of a competent, reliable home care provider. To learn more about Home Care Assistance and the many benefits our dementia care program offers, contact one of our professional Care Managers and schedule your free, no obligation consultation. Call us today at (519) 954-2111. We’re here to help.